The recording of the camera is triggered by motion and sound. All recorded footage stores in the cloud service where you can access it for the next 10 days (with date and time marks). The mobile app tends to stutter a bit on low-end mobile devices. 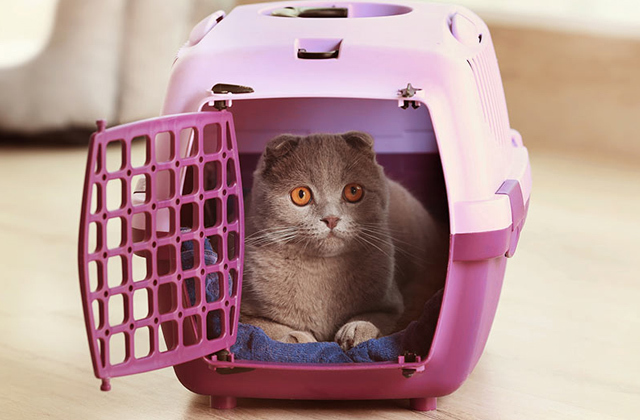 Petcube Bites is capable of giving tons of fun to the pet and his owner: the pet will be extremely curious to catch treats, while the owner will be happy to know that his furry friend is doing okay. 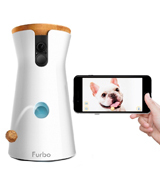 Furbo 2-way Treat Tossing dog camera utilises treat dispenser function and great video streaming quality allowing you to see your pet clearly even in complete darkness. Your voice may sound somewhat distorted through the camera speaker. This hi-tech animal camera is designed to bring pets and their owners closer to each other. 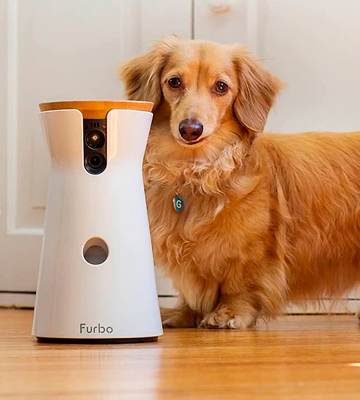 The Furbo dog camera is specially designed to appeal to your dog's tastes. 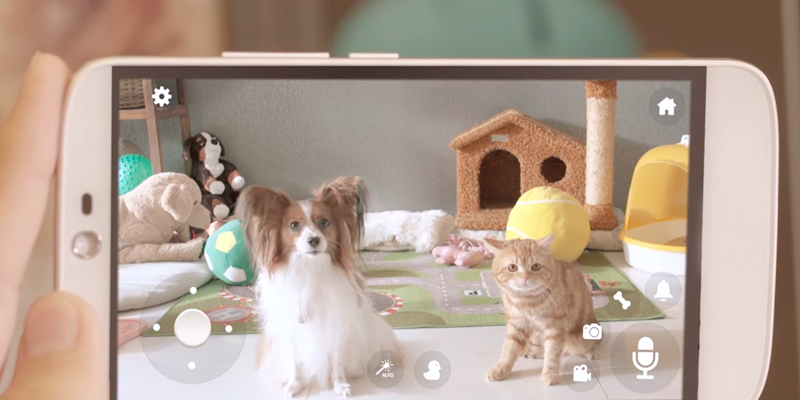 With an updated Pawbo Life app 8 users can connect to the camera simultaneously to watch the pet and spend time together. Treat tray capacity is somewhat limited. 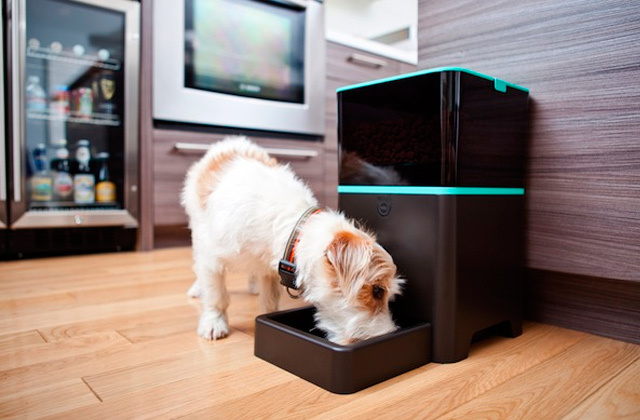 With Pawbo treat dispenser, you can not only watch your pet but also play with it using a built-in laser. The laser can be set to draw preset patterns or used as a manually controlled pointer. With a MicroSD slot, you can save all recorded videos even when there's no internet connection. This way you won't miss a single moment or detail while you are away. Camera resolution leaves something more to be desired. 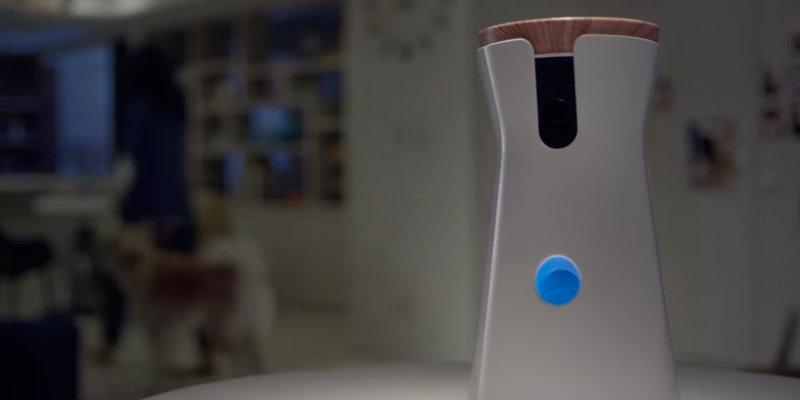 Clever Dog is a highly functional IP-camera that will find its place in any household. 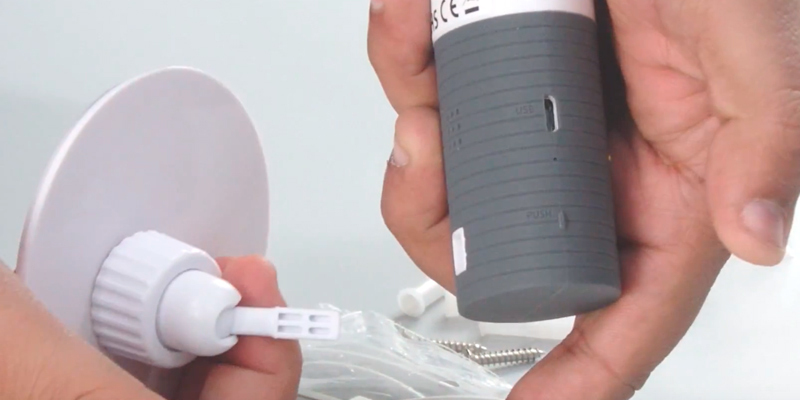 It can be used as a security camera, surveillance camera, a baby monitor and a monitor for elderly people. 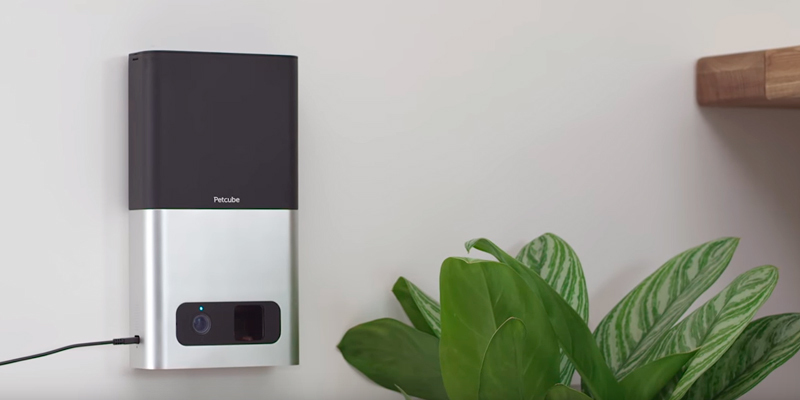 Beside the usual AC, the device can also be powered by D-type batteries, which eases the installation of the camera when the outlet access is limited. 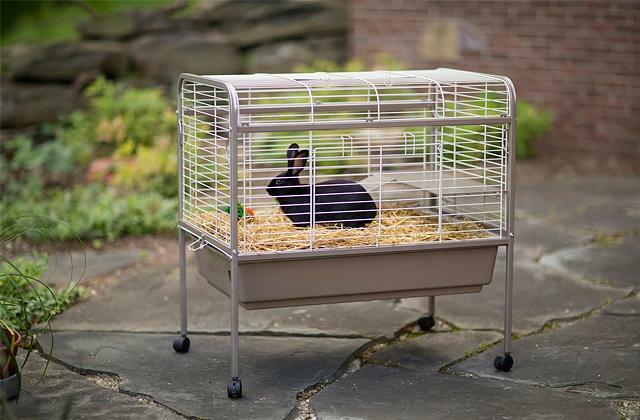 If you need to leave home for a couple of days this model won't leave your furry friend hungry owing to its large 4.5l dry food tray that can store enough food to last for a week. If you happen to be a lucky one to have a dog or a cat you know how happy they usually are when we, owners, return home from work. However, you don't need to leave your pet without contact that long. With the Petcube Bites Pet Camera, you can not only watch what your pup is doing at any particular moment but also talk to it via the built-in microphone whenever you want. The advantage of this dog camera over other models is that it features a night-vision mode which will allow you to see your pet clearly even in the evening when the room isn't lit. Though the picture won't be colourful, you will still be able to catch on the main details. The camera is streaming video in high definition and syncs smoothly with any model of smartphone. In addition to the option to communicate with your pup, the Petcube Bites Pet Camera allows you to soothe your dog if it can't help barking at every little noise behind the door. Now if you hear that your puppy starts to bark and make a lot of noise, you can press a push-to-talk button which will let you calm it down with the help of a two-way audio feature. 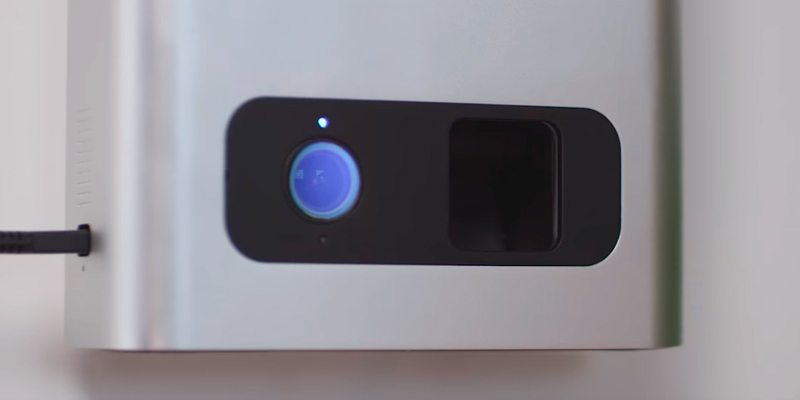 Besides the standard live video and audio capabilities, the Petcube Bites features one of the best interactive functionality out there. If your pet behaved well, you can actually give your dog treats encouraging its good behaviour. Charge the container with your pup's favourite treats and feed your dog remotely using the Petcube app from your phone. The camera has a high-capacity container providing enough room for up to 2 lbs of treats and is able to toss them at varying distances depending on whether your pup has noticed food and how big or small the treats are. Although this camera is a bit on a heavy side (compared to similar models), it's actually the camera's advantage. Unlike those flimsy units that are easy to knock off, especially by large breeds, this one will remain in place no matter what. What else we should definitely mention about this camera is the option to make video clips and screenshots using the Petcube App. This way you can capture the funniest moments of your pet's life even remotely and share them with the world online. Turning to the technical specifications of the camera, the Petcube PB913NVTD is equipped with a wide 138-degree lens and streams clear and detailed video in 1080p HD quality. These techs alone make observing your furry friends convenient and enjoyable. If you own Echo or any other Alexa-related products from Amazon, you'll be glad to know that you can use them to schedule automatic feedings. In order to do that, you will need to "ask" the Petcube to dispense treats at certain intervals using a voice control feature. Summarizing everything that we've said above, we can easily conclude that this camera from Petcube is one of the most versatile models among those presented on the market, which can become a decent acquisition to all dog owners who'd love to stay in contact with their furry friends and be aware of what their dog or cat is up to when they are away. The Furbo Dog Camera is a reliable and reasonable solution for any household with pets. The manufacturers tried to take into account everything that may influence usability and efficiency of this device. The camera plugs into the mains power supply that allows you to keep tabs on your canine from anywhere. The camera provides real-time video streaming with 1280 x 720p resolution that is common for most pet cams currently available on the market. However, a night vision is probably the best feature of this device that allows you to discover what your pet is doing even in the dark. One more distinctive feature is a 2-way audio, so you can talk to your dog to get its undivided attention or calm it when it shows fuzziness or when it's scared. Reward Your Dog With Treats for Good Behavior! 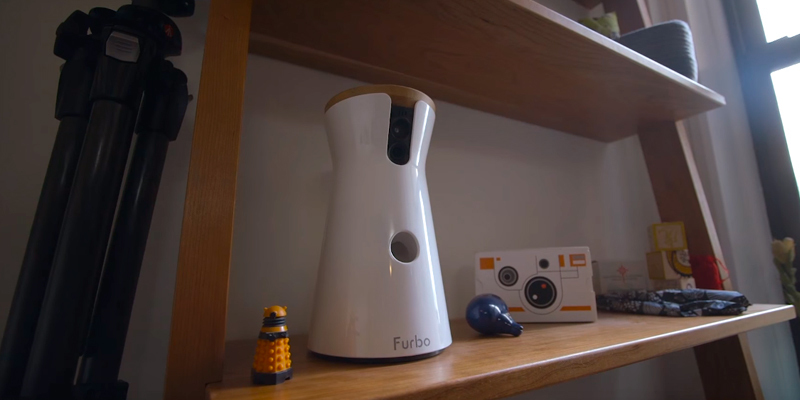 The Furbo pet camera can pop treats to your dog remotely through the free Furbo iOS/Android as many similar devices do. 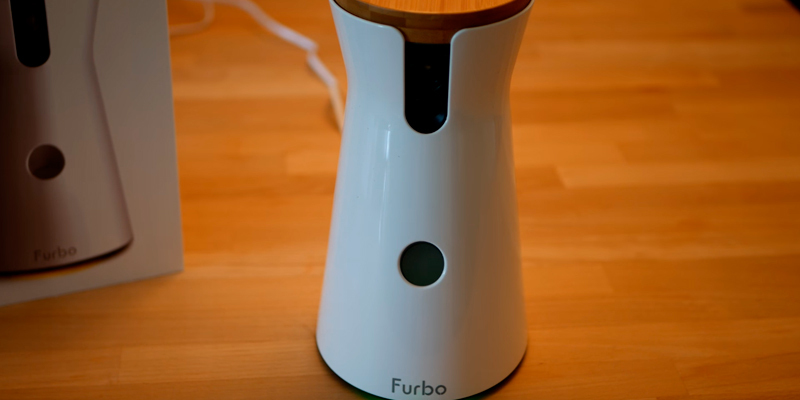 But Furbo took the development further, having equipped the cam with the unique fun treat tossing feature to make viewing sessions even more funny and playful. 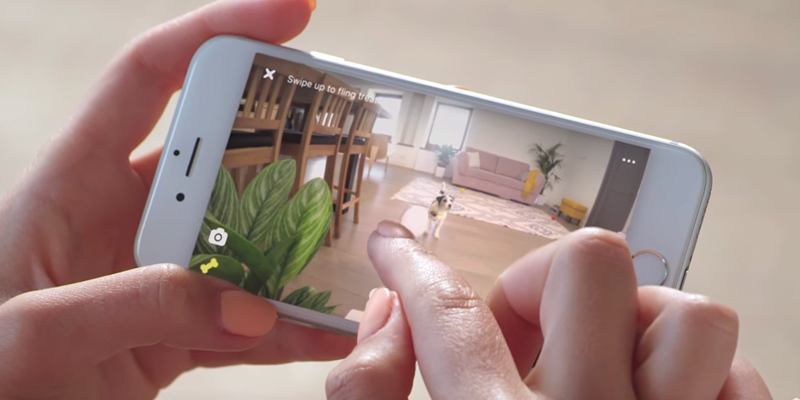 Simply connect the cam to your smartphone and swipe on your phone screen, launching treats into the air and making your dog chase after them. 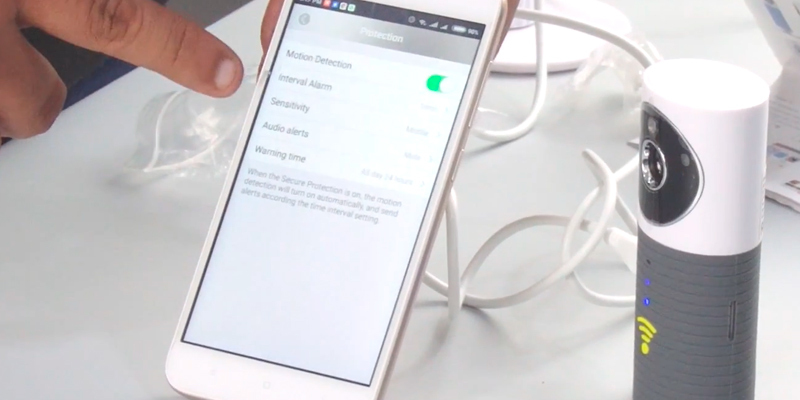 There is also an intelligent sensor, which detects barking and sends alerts to your mobile device. 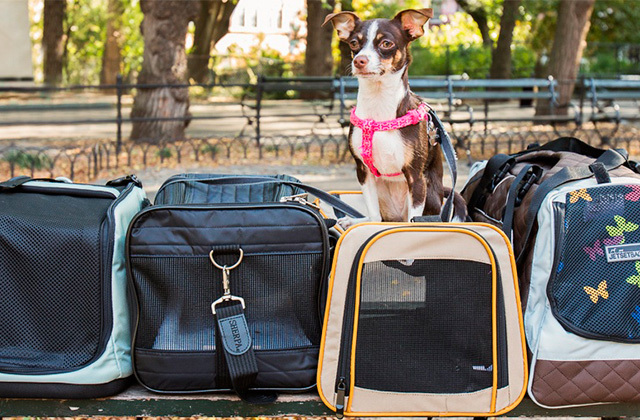 So, you can see how your dog behaves, responding to the emergencies no matter where you are. Capture those precious moments of your pet’s life with this smart pet camera and share videos and photos with your family and friends on your favorite social sites and blogs. At first, don’t leave your dog for too long. Start from a few minutes and praise your canine for a good behavior upon your return. Repeat this exercise a couple of times and go on to reward your dog's quiet behavior. Then you may leave your pet alone at home for half an hour and gradually increase the amount of time they are left on their own. 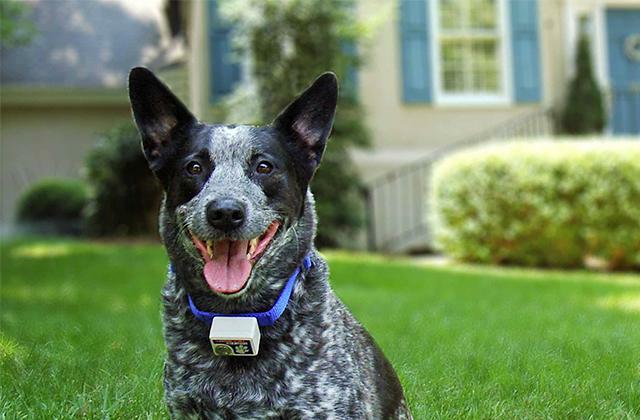 This device will make your pet feel safer, thinking that you can come back at any time. If you hear a plaintive howling of your dog when approaching the door, wait until your dog gets calm before entering the house. After a while, your dog will associate your return with a quiet behavior and stop this manipulative behavior. Talk to your pet more frequently, since the more love you give, the more you will get back. Indeed, the pets raised with love and patience, are more confident and less fearful. 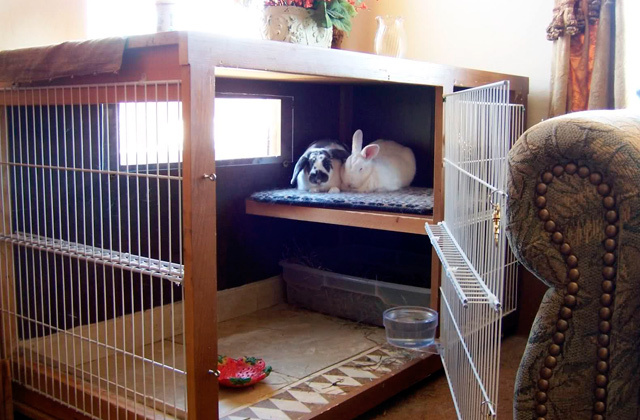 Thus, this animal cam helps cope with separation-related behavior problems. 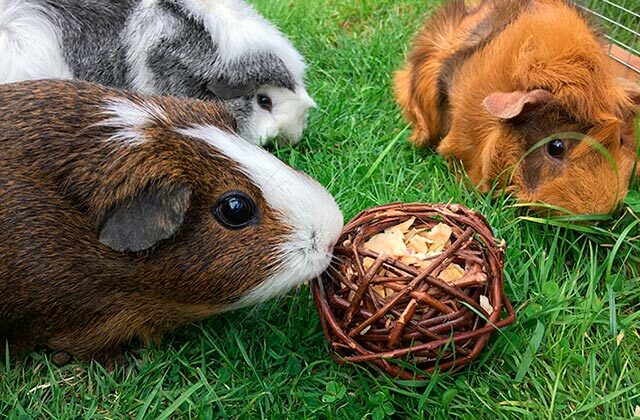 To ensure that your pet has access to the sufficient amount of food and drinking water throughout a day, it’s worth buying one of the pet bowls. 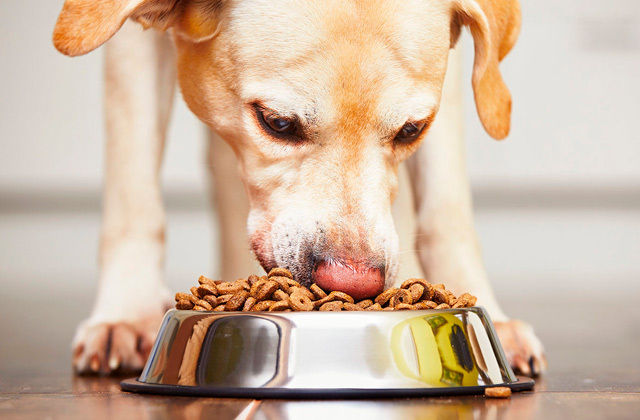 When it comes to selecting a pet bowl, you need to determine the correct food dosage based on your dog's weight. Our review will help you make the right choice! 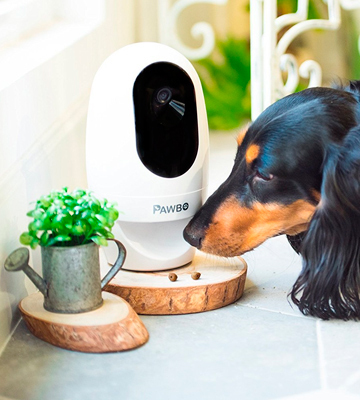 The Pawbo Life Wi-Fi Dog Camera and Treat Dispenser is a good alternative to more pricey counterparts on the market. Made out of sturdy plastic, this pet camera is able to withstand falls from the medium height and is unlikely to snap even if your pet makes a habit of poking at it causing it to flip over. However, if your dog is big and heavy and you worry that it might actually damage a plastic unit, the camera has two mounting holes on the back allowing you to secure it to the wall. Speaking of conveniences, the Pet Camera from Pawbo Life is easy to install and easy to control via the dedicated application. The Pawbo Life app currently supports iOS 8 or later and Android 4.0.3 or later versions. The reviewed version of the app allows up to 8 people to connect simultaneously to the camera and watch the live video of your furry friend. This application will show you if the connection you are using is slow. Keep note that if you use your phone carrier data most likely than not the app will lag and not work properly. For the smoothest picture and data transmission, it's highly recommended to use only a reliable and fast wireless network with a WPA2 encryption. The minor disadvantage of this camera is that it requires being placed in close proximity to the Internet router, in order to provide clear and smooth video transmission without stuttering and delays. However, this is the only camera's issue which might inconvenience you a bit. When it comes to performance and build quality, though, you certainly will be more than pleased. Once positioned properly, the camera will deliver a clear real-time 780p video of your cat and dog as well as provide you with the 4x zoom. 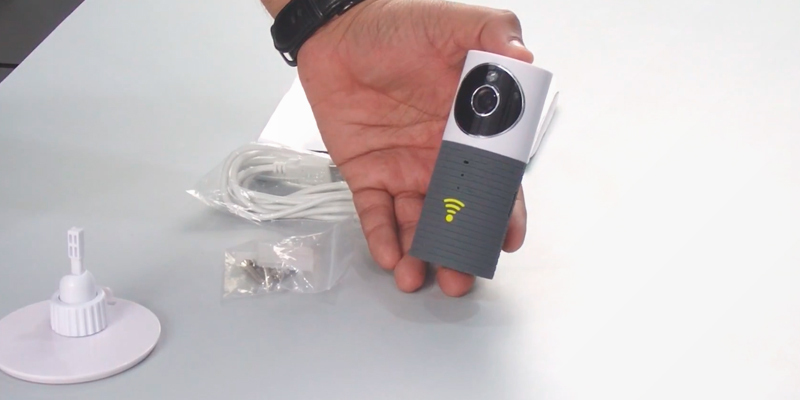 With this camera, you can be miles away from home and still have a chance to see what your pets are doing. Record the best shots and store them on your phone to share with your friends on social media websites later. 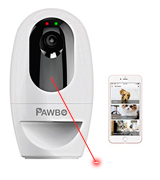 As we've mentioned earlier, the Pawbo Life Clever dog camera allows you to share photos and videos of your dog or cat online, however, these aren't the only interactive features of this model. Like in more expensive dog cameras, there's a special push-to-talk button allowing for a two-way communication between you and your pet and a built-in laser making it possible to play with it when being away. What's interesting about the laser is that you can set it to draw preset patterns or control it manually using it as a pointer, which can be amusing both for your loved pup and for you. 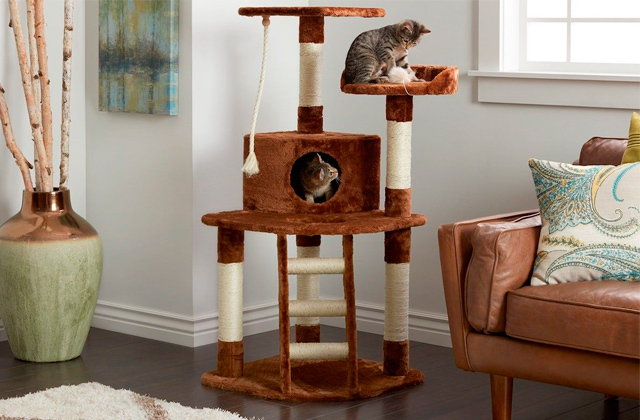 The last but not the least feature to mention is a treat dispenser which you can trigger remotely to reward your cat or dog for being a good sport or in order to encourage it to play with you. The capacity of the integrated dispenser isn't huge, given that the camera comes in a pretty compact size, however, if you don't get overzealous trying to give your pet everything at once, this volume should be more than enough for an average-sized dog or several cats. 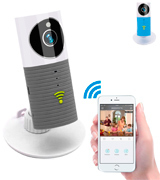 The Wireless Security WiFi camera from Clever Dog is an affordable surveillance unit that can provide a reliable performance regardless of the home network speed. Its setup is very easy and everything needed for its connection comes included in the purchase. Once the camera's connected, there should appear two lights on the front panel of the device showing you that it's working and that WiFi signal is strong. At the bottom of the camera are four mounting holes which you can use to attach it to the wall if you don't feel like leaving the camera on your desk is a safe option. After installation, you will need to turn the unit on and download the Clever Dog app for iOS or Android mobile gadget. That's it. Installation is done. The Clever Dog KST2017016 camera is fitted with a motion sensor feature which will notify you of your pet's activity and has four built-in infrared units that will let it record any disturbance in your house and display intruders on the screen of your phone. Thanks to this exact feature, the camera will also allow you to see up to 5 metres away in a complete darkness during live video streaming. If security of connection that the camera uses is one of your concerns you will be glad to know that the device uses P2P technology. This way all recorded data are stored not on the server but locally, on an SD card, with memory capacity up to 32 GB. Though this isn't the biggest memory capacity available, it should suffice for storing up to 7 days of footage recorded in a continuous mode. That is to say, you can utilise less memory if you set the camera to record in the mode "When Abnormal Detected" only. Unfortunately, SD card is not included in the package so you will need to buy it beforehand if you intend to record and store video files. 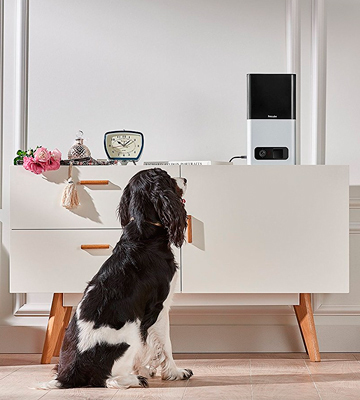 Not dissimilar to other cameras, the Clever Dog KST2017016 has a 2-way push-to-talk voice button which may come in useful if you'd like to draw the attention of your furry friend or warn it, for example, if it's up to no good. Though the manufacturer doesn't specify any problems with running the camera at slow speeds, we'd recommend you to use 3G, 4G or Wi-Fi networks for the best-quality video streaming. However, like we've said, it still should work fine even if your network is slightly slower. 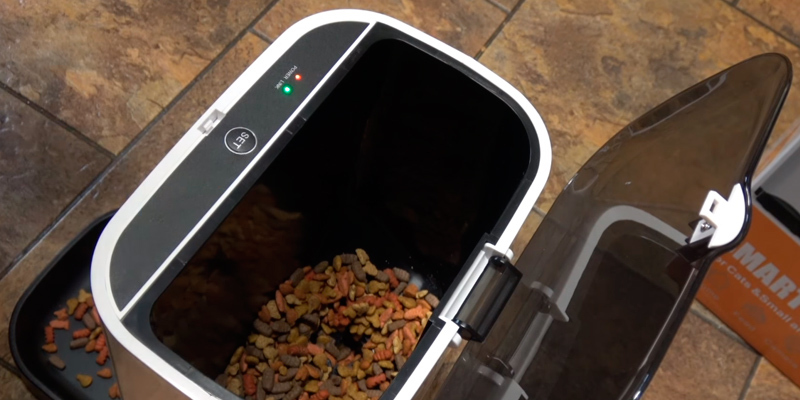 Unlike other pet cams presented in this review, the Clever Dog KST2017016 doesn't have a treat tray or dispenser, which is, of course, a bit o a shame. However, given that this camera costs several times cheaper than the other models, it's a fair play. At the end of the day, you still get a decent camera that can be utilised for many different purposes but watching your dog or cat. 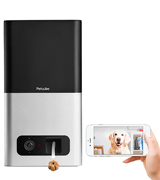 The Wireless Automatic Pet Dog Cat Food Dispenser is not just a regular pet camera feeder. When it comes to meal dispense scheduling, there are very few models that can match its usability and ease of use. While other treat dispensers require you to utilise some additional hardware such as Alexa or Echo products or voice commands to toss treats, this wireless dispenser will run on the settings you select indefinitely until the integrated container gets empty, which drastically simplifies its handling. You can adjust the amount of each meal as well as set the time when the treats are to be given. This feature may come in especially helpful for owners of those pets that suffer from overeating and need to lose some weight. The maximum amount of treats per meal should not exceed 10, which is about 100 grams or 24 ml. Additionally, you can have up to four scheduled feeds per 24 hours or feed the pet manually via the mobile application. The food tray is big enough to hold up to 4.5 litres, which makes it one of the largest dispensers among those we've reviewed. That being said, it's not recommended to load biscuits larger than 1 cm in length, otherwise, the unit may start to malfunction. This model can run off both an AC adapter and three D batteries if you, for example, lose power. Batteries are not included in the package, though, so make sure to purchase them beforehand. One of the things many users appreciate about this camera is the fact that all scheduled feeding parameters are stored in the cloud, eliminating the need to reset them each time a power outage occurs. Another thing that adds appeal to this model is the option to record personalized meal call-ups. Thanks to this, you can record either your own voice or use one of the audio files to attract your pet to the food dispenser. With regards to the camera specs, it's also good with a 130-degree lens providing a wide field of view so that you can see everything that takes place within its range. With a Real-time Sharing feature you can share recorded photos or videos of your furry friend with your friends and family on Facebook, Twitter or Instagram. On top of that, you can store recorded files locally on an SD card (up to 128 GB). A card is not included, though, which means if that's your preferable option, you'll need to purchase it additionally. Overall, the Wireless Pet Dispenser from Unimall is a perfect solution if what you want is not only to keep your furry friend fed but also keep these feedings scheduled. 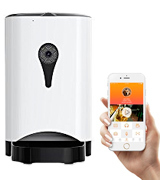 If you're a happy dog owner and you don’t want to lose contact with your beloved pet while being out of your home, such a high-tech pet device as a dog camera is what you need. 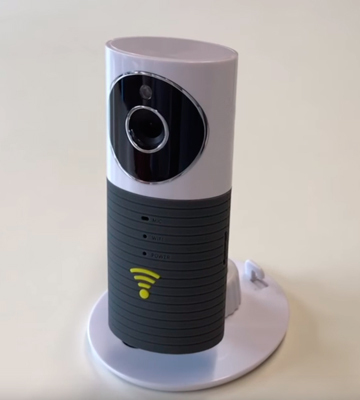 This new pet gadget is very similar to a standard IP camera designed for security purposes. Yet, this gadget has some additional pet-oriented features. The dog camera lets you not only to keep an eye on your pet remotely when you are away but also talk to your canine and even give it treats. This pet monitor will provide you with peace of mind, and your pet won’t feel lonely in your absence. You may also be interested in the security cameras that offer a portable and functional solution to keep a closer eye on things from afar. 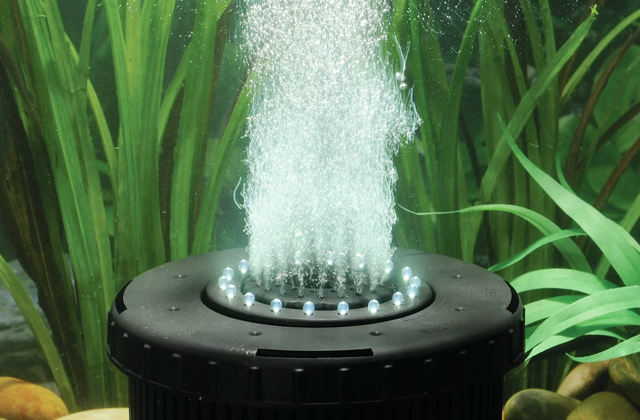 And the pet fountains might be just the thing when your pet is home alone to give it fresh water on demand. When it comes to choosing a dog camera, you need to take into consideration its monitoring function and connection possibilities. The vast majority of modern pet cameras is connected to a wireless network and provides monitoring via a mobile application. Also, the initial setup is done directly from your mobile gadget. So, you should check in advance whether the camera pairs with your phone. Probably, one of the most important features of any pet camera is the live streaming quality. The video resolution is an essential parameter that affects image quality. To get a good quality image, you need to choose the cameras with a 720P format and 1280 x 720 resolution. The cameras with 1920 x 1080 or 1080P provide the highest quality video and high-speed Internet connection. Besides, a good pet camera features a two-way audio that allows you to drag your dog’s attention and interact with their pets remotely. When choosing a pet camera, you should take into account not just what you want, but also what is best for your dog. 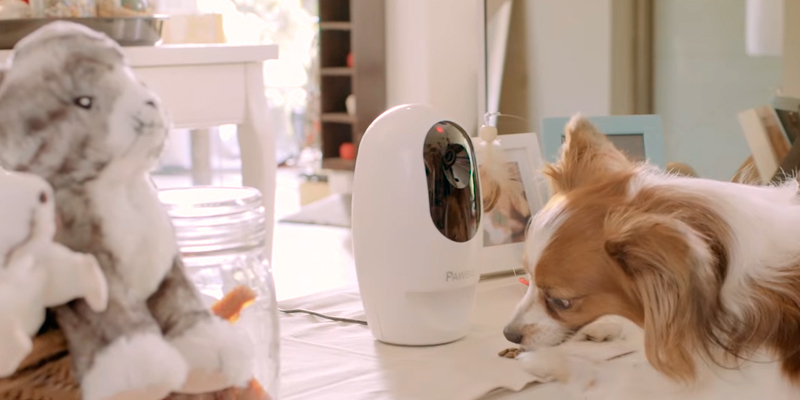 This high-tech interactive device is designed with your pet in mind. You can place this gadget anywhere in your home. Moreover, some cameras come equipped with a special treat dispenser that launches yummy snacks one at a time in an exciting way for your pet. 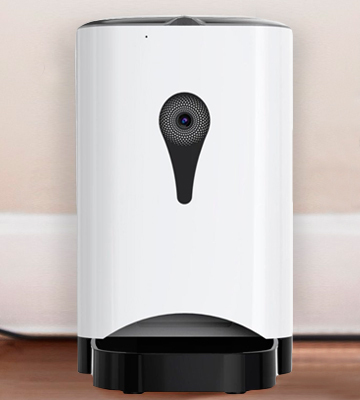 Also, the cam may feature a built-in laser pointer to play with your dog or cat remotely. And if your beloved animal companion misses you so much, it’s better to choose the cam with a full-colour LED display so that your pet can see your smiling face. Being alone at home is hard for many dogs; when separated from owners many of them can become more anxious than usual. Many pets can actually suffer from a separation anxiety disorder (or SAD for short). And despite this disorder may seem something not serious enough to pay attention to, if not taken care of, it may pose a real threat to your dog's mental and even physical health. Dogs that suffer from separation anxiety disorder tend to chew objects that still have your scent, bark a lot, howl, dig (if left in the yard), and may even try to escape. All of these actions may result in self-injuries such as damaged nails, cut front paws and even broken teeth should your pet try to break loose. If the dog is too anxious it will try to do so by scratching and chewing through doors and even windows that are low enough. Many researchers believe that the loss of an important person and other less dramatic events in a dog’s life may lead to separation anxiety. Such events as a change of an owner or family or being surrendered to a shelter may also be connected with SAD. Other reasons that may cause this disorder include an abrupt change in schedule (when you leave the dog alone longer than usual), and a change in residence (moving to a new home can trigger the development of the disorder). Although there is no clear answer to what causes separation anxiety all you can do is to train your dog restraint and be nice and patient to your furry friend since your kindness and positive emotions are the key factors that can help your pet to fight stress. One of the most important aspects of raising a dog is training. An untrained and disobedient dog may pose threat not only to you and your family but also to your property, your neighbourhood and other dogs living nearby. Dog training may seem like a tiresome and tedious task but in the end, you will be rewarded with an obedient pet that you will be able to proudly call your family member and friend. If you decide to train your dog on your own without the help of cynologists or other canine experts, remember about patience, consistency, and positive mindset during the training. To encourage your furry friend to do what you want it to do, it's best to involve some reward system. The reward is usually food - dry food or pet treats. The rule here is to give pet treats only to compliment your pet for good behaviour and not to give them after the dog has done something bad or unwanted. Do not put your hands in pockets or hold the bag with treats while giving commands to your dog. The variety of rewards is important and can benefit the teaching process. Going outside for a walk, tossing a frisbee (or other toys), a game of tug of war or hide and seek are also good examples of rewards. As we all know, the dogs are creatures of habit that is why it is important to be consistent with training. Using this knowledge you can basically “program” your pet to do certain things at set times of the day. For example, you can steadily teach your dog patience if you go for a walk at the exact same time every day. 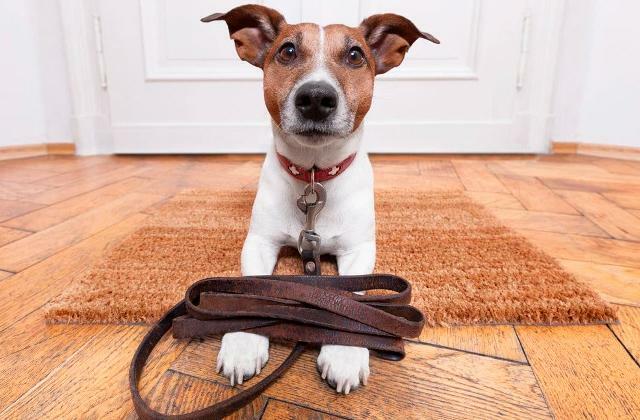 This way your pet will be patient since it will know that it is hard to intimidate you to go for a walk an hour earlier. If you plan to get a dog, remember that it is still an animal and that, without proper training, it will behave like an animal. A well-behaved dog is definitely better than a poor socialized one. You can rely on the obedient and well-mannered dog and not be concerned about any misbehaviour when it is spending time with your family members or friends, as well as with other dogs. Q: Can I use a mobile app with my Android phone? A: Yes, you can. Most of the pet camera models that allow for syncing with phones support Android OS. However, to utilise the app, you will first need to download it from the Play Store. Also, you will need to make sure that you have a stable Internet connection 'cause these apps do not work offline. Q: How do I know that nobody else beside me is watching a stream via the dog camera? A: As any other security camera pet cameras use encryption to prevent hackers and other criminals from accessing your personal video stream. If you are concerned about security, never show or give your login data and password to anyone you don’t trust. This way you will be sure that nobody else uses the live stream. For additional security, make sure to use a secure connection when you try to reach the video stream using a mobile app. Q: Can I use any kind of wet food with this camera instead of dry treats? A: No, you can’t. The pet cameras were designed specifically for dry food since wet food deteriorates faster and would eventually damage the food dispenser owing to leaks. Not to mention the fact that it would also be extremely harder to clean the food tray from food chunks soaked and stuck in nooks and crannies. Q: Can I use a dog camera to feed my cat? A: Yes, you can! As long as you fill the treat dispenser with dry food the device can also be used to toss treats for cats. Please note that it's important to fill the device with treats of the proper size so that they won't block its distribution and cause the unit's malfunction. Q: Will I need to reset the treat dispenser every day? A: No. As a rule, the majority of food dispensers are needed to be reset only when the food tray is empty. Some more advanced models can be used to schedule the timings and portions of each meal, though. Q: Will the camera notify me in case of danger at my house? A: This feature is dependent on your camera model. If your dog camera has a bark alert it will go off and notify you via the mobile app when your dog is barking. Likewise, it is able to go off in case of any loud sound such as smoke alert, carbon monoxide alert, etc. In case your camera has a motion detector it will go off every time when sensors spot abnormal activity in front of the device. Q: Do I need Wi-Fi to be able to watch live stream from the camera? A: No. You will be able to watch video stream and use features of the mobile app using the 3G/4G connection as long as it is stable. Nonetheless, you will need to have a decent Wi-Fi connection of at least 512 Kbps at home in order for the camera to operate. Q: Can I mount the camera on the ceiling? A: Yes, you can, although we do not recommend you to do that unless you buy a camera without a food dispenser function. If your camera has this function, placing it on the ceiling will restrict you from using it. Furthermore, it will also limit the angle of the field view compared to positioning the camera on the tabletop or even on the wall. So unless absolutely necessary, it's best to avoid mounting it on the ceiling. 1. Help! How do you choose a pet camera? iHeartDogs.com. 2. Megan Wollerton Security camera buying guide, CNET. July 1, 2015. 3. Jolanta Benal Leaving Your Dog Home Alone, Quick and Dirty Tips. May 26, 2009. 4. How to Keep Your Dog from Being Bored, wikiHow. 5. Petcube, Wikipedia. March 21, 2017. 6. Olivia Being a Pet “Parent” – How to Choose a Pet Camera for Your “Baby”, Reolink. September 30, 2016. 7. Elisabeth Geier How to Help a Sad Dog When They’re Home Alone, Rover. January 31, 2017. 8. Sarah Tips For Leaving Your Dog Home Alone, Tractive. October 28, 2015. 9. How to Leave Your Pets Alone While on Vacation, wikiHow. 10. Abigail Beall The Secret Lives of Pets: Hidden Cameras Reveal What Your Animals Really Get Up to While You're Away, Dailymail. July 18, 2016.